Every week or so we will continue to provide summaries of cases we think clients might find of interest and pertinent to their business. If you have any questions about the information provided in these case summaries or wish to discuss them further, please contact the Schwabe patent attorney with whom you currently work, or contact Peter Heuser at 503-796-2424 or pheuser@schwabe.com. PTO reexamination invalidation of patent renders $24 million verdict unenforceable. Several years after initiation of litigation in court, Fresenius filed a reexamination request in the PTO. Baxter ‎prevailed in the district court and in the Federal Circuit, but the Circuit had remanded the decision to the district court to render a final judgment. The PTO Board of Appeals had the benefit of ‎the district and Circuit decisions but held that the patent was invalid for obviousness‎‎. A Circuit panel had ruled that the Board should take note of the prior court ‎decisions but need not reach the same result. A three judge panel of the Federal Circuit had ‎held that a prior court decision that is final in all respects constitutes res judicata that would permit an ‎award of damages even if the patent was subsequently found invalid by the PTO. In the present ‎case, however, the panel felt that because the decision was not final in all respects when the PTO decision was rendered, the patent should be considered invalid for all purposes and the $24 million did not have to be paid. On the motion for rehearing en banc, a majority of the Circuit judges relied on Supreme Court and Federal Circuit precedent to deny en banc review, therefore holding that the PTO decision superceded court proceedings until a court judgment was final in all respects. 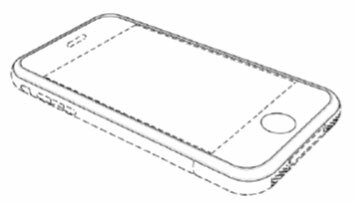 The design patents at issue were to Apple's so-called minimalist design consisting of a large rectangular display having rounded corners and a circular button below the display. 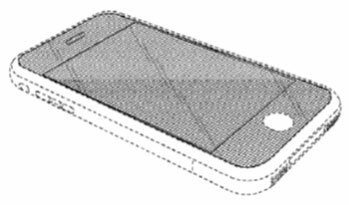 Finally, Apple had appealed the district court's denial of its request for an injunction based on ‎Samsung's prior sale of six smart phones found by the jury to dilute Apple's iPhone trade dress under the ‎Federal Trademark Dilution Act. The district court concluded that there was irreparable harm but denied ‎the injunction because none of those phones was still on the market, nor was there evidence suggesting ‎that Samsung would resume selling them. The Circuit determined that the district court had not abused its ‎discretion in denying Apple's injunction request.